Adult Females: Take 3 capsules daily. I know that it's not safe to take yoni cleanser while breastfeeding because it lower breastmilk production, but can you insert them vaginally? Is it effective in treating bv this way? We do not recommend taking the capsules vaginally. I know that yoni cleanser will interfere with breastfeeding, but can it be administered vaginally? Would it still cause the breast milk supply to decrease? Will it still be as effective as administered orally? I am taking the yoni cleanser and i have a watery discharge no smell. But i have noticed even before i was taking it i smell like ammonia i do not drink enough water which may be the problem... i do suffer from BV can the yoni cleanser heal my bv? 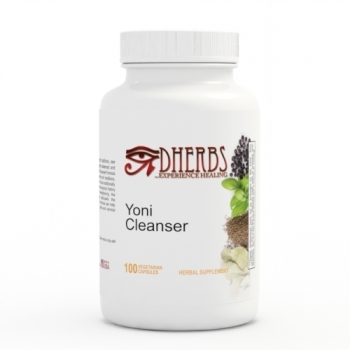 The Yoni Cleanser contains herbs that have traditionally been used by women throughout history for cleansing and maintaining a healthy reproductive system, particularly the uterus and cervix. This formula can help to maintain healthy uterine and cervical function and activity. hi! i was wondering, i have lately been suffering from blood clots during my cycle, that can be rather large. would this product help in that area? thank you! The Yoni Formula helps cleanse the uterus, however it does not specifically address the blood clotting alone. We suggest taking the Yoni in addition to the Menstrual Cycle Formula Formula and the Blood & Lymphatic Formula. Taking the three supplements can help cleanse the uterus and regulate your menses, helping to eliminate the clots. Hello I just purchased this item and I'm wondering a dosage question. Should I take 3 pills all at once everyday or should I Space them out like one in the morning one at lunch and one at diner? I'm confused and I would really like to take this product properly. Take 3 capsules at once daily.